CM Blog "Staff Researcher" Tracy has been up some interesting information on Bob's Dad - read up! Paula Kent Meehan, 82, died Monday. Ms. Meehan was the co-founder of Redken - think hair products, salons, etc. With all the wealth she accrued, she became a noted southern California philanthropist. 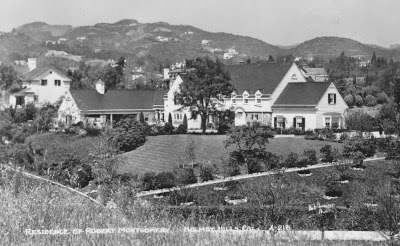 Ms. Meehan died at her home in Beverly Hills, which she purchased in 1994. 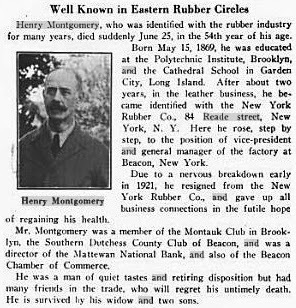 Sounds like the appropriate kind of person to live in the former Montgomery estate. Aaahhh ... Aren't They Cute! 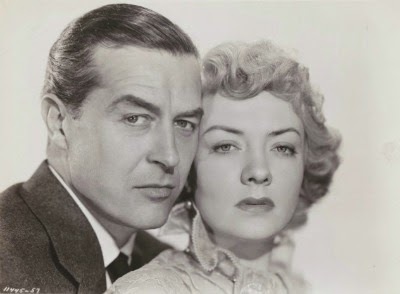 Audrey Totter was busy in the late 40s, in high demand as a co-star for, errr, aging actors. 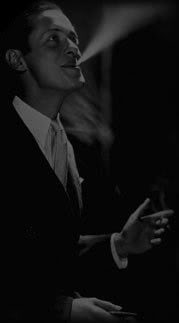 Let's see, there was Bob in Lady in the Lake (1947) and The Saxon Charm (1948); Bob Taylor in High Wall (1947); Gable in Any Number Can Play (1949); and Ray Milland in Alias Nick Beal (1949). Audrey was in her early 30s and at her peak, an age most actresses began the decline of their careers. She was very believable in the roles, and, most importantly, her sexual appeal paired well with the guys. She was a nifty broad. I am sure Bob and Clark got to know each well. 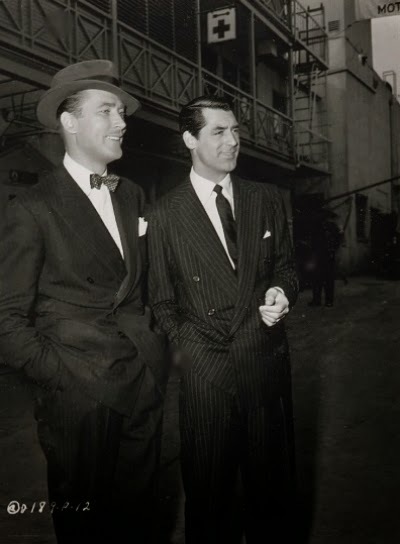 since at MGM Bob's dressing room was located on the second floor of the men's quarters, directly above Clark's. Remembering the old cliche, "Paper thin walls make for cozy neighors," I doubt much of what went on in their rooms was kept a secret from the other. Below, the two "eminent Romeos" chat on the lot. 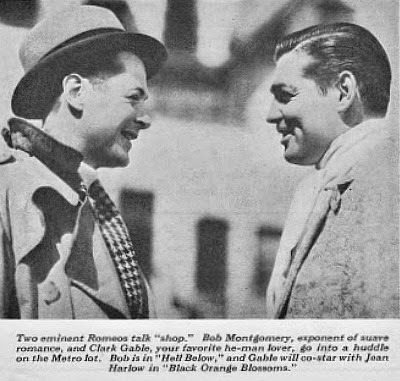 Notice the photo caption has Clark appearing with Harlow in "Black Orange Blossoms." 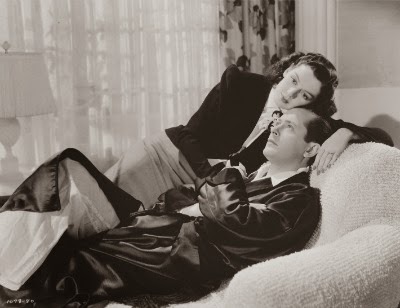 The movie is released as Hold Your Man (1933). A much better title. 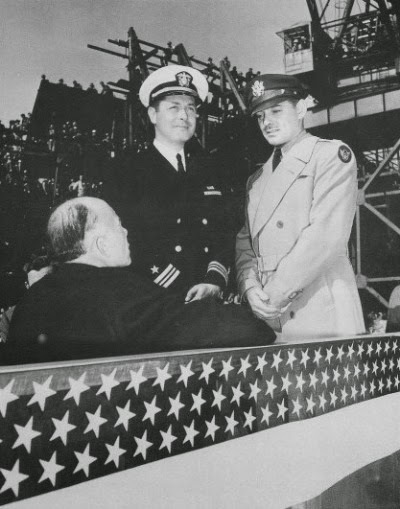 Eleven years later, January 15, 1944, we find the two at the christening of the Liberty Ship "S.S. Carole Lombard" on Terminal island in Southern Los Angeles County. Clark has already returned from a tour in Europe, Bob will soon be heading in that direction. Wonder if they kept in touch after the MGM days. Probably not, Clark staying in Los Angeles and Bob heading off for New York. If they did run into each other --- ah, they stories they could have told. Wanna guess who this young hunk is? 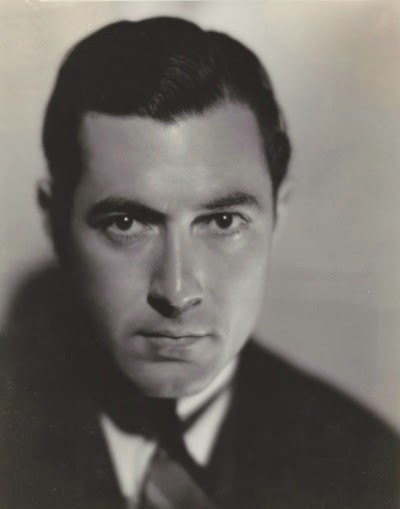 Like Bob, he was born in 1904, began his career at MGM and co-starred with MGM's major actresses: Norma Shearer, Garbo, Joan Crawford and Marion Davies. And there's something about him that reminds me of Bob...his eyes, maybe? Happy Birthday (A Day Early), Roz! TCM may have overlooked Bob on his birthday, but at least Roz rates a seven-movie marathon on hers. I'm listing the movies being shown tomorrow (Wednesday, June 4th), in case you don't already have them marked in your copy of NOW PLAYING. All times listed are PDT. 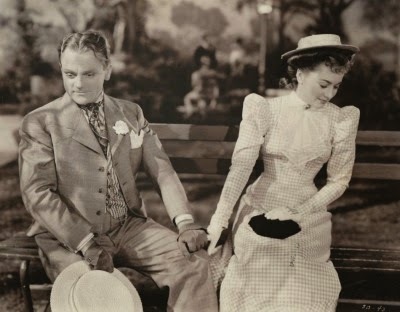 8:30 a.m. - Forsaking All Others (1934), another Roz film! ** Auntie Mame is one of those movies that when you run across it flipping channels, you end up watching the rest of the movie. Just a fantastic performance by Roz.